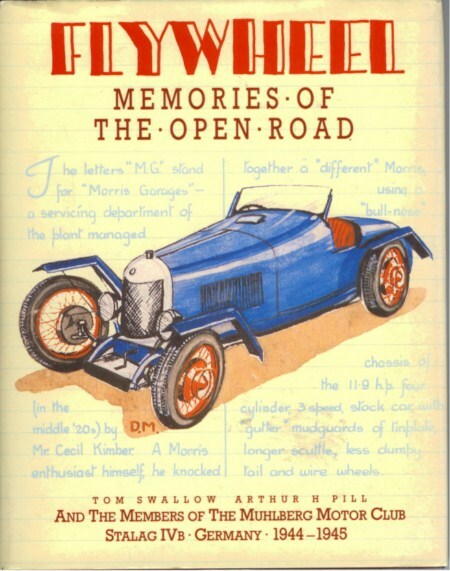 This unique book demonstrates that enthusiasm for automobiles and the printed word can survive even under the most terrible of conditions as, for instance, in a gritty German prisoner-of-war camp during World War II.Flywheel reprints the best of the world’s most unusual, cheapest, and lowest-circulation (one copy) car magazine, published in 1944-45 by half a dozen bored but talented inmates of Stalag IVb. Eighty miles south of Berlin, on the banks of the Elbe River, the magazine of the so-called Muhlberg Motor Club helped keep alive the spirits and creative minds of hundreds of captive British Empire servicemen longing to return to their favorite car, motorcycle, track, or workshop. It also inadvertently proved the importance of content over flash in any publication. 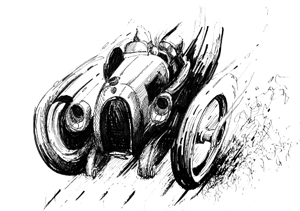 Entirely hand-printed and illustrated with tinted pen-and-ink drawings on a few sheets of cheap, lined notebook paper, a single copy of each of the 10 “issues” was passed from hand to hand among enthusiasts in the camp, entertaining them with imaginary road tests, motor show reports, technical articles, race reports, motoring memories, cartoons, and even used car advertisements and letters to the editor. Most articles were created from memory, and a few were gleaned from magazines in Red Cross packages or letters. The finest of them are reproduced here, complete with faded paper and stains to show age. Of course, even though the original publication quality was almost non-existent, this hardbound book presents the reprints on quality paper in full, though accurately faded, color. Judging by the writing, artwork, design, editing, and even penmanship, the original Flywheel staff’s professionalism is as evident as its enthusiasm, knowledge, and craftiness. To create each issue of this fascinating “magazine”, the prisoners had to beg, borrow, and steal such essentials as paper, ink, and pens. 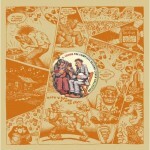 To stick illustrations to its pages, they made glue from rotting soup. To color the drawings, they liquefied their own quinine pills. Yet the content is superb, and the magazine even had an appropriate motto, “To Keep the Works Going Round on the Idle Strokes.” While there are references to “when we get home”, the general editorial approach is to mimic an actual magazine, as if the readers already were at home. 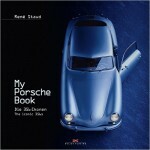 Appropriately, proceeds from the sale of this book were donated to the Red Cross, which had helped keep the staff alive.